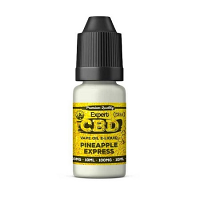 Malakoff's marijuana has strong mental effect increasing and lifting up the level of energy and creativity. 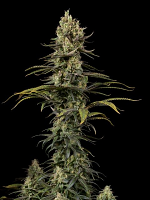 Malakoff is another unique feminized seed in Medical Seeds sativa collection. 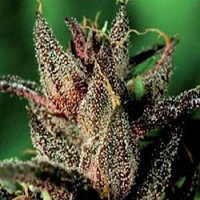 This cannabis possesses all characteristic so appriciated by sativa lovers - big tight aromatic buds providing strong energizing high, and she also combines the best sativa qualities with strong indica features delivering fast flowering and disease resisting plants. 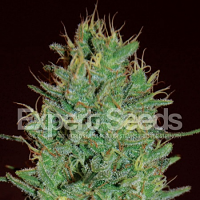 Jack La Mota feminized seeds are suitable for indoor and outdoor cultivation and shows fantastic performance in regions with high humidity. They need a typical sativa 70-75 days of indoor flowering to produce 400+ gr of high quality marijuana per m2. 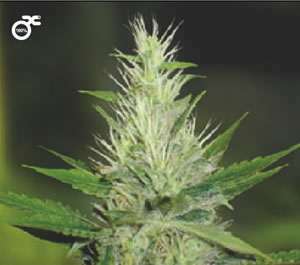 Outdoors, Malakoff feminized can stretch up to 3 m and is ready for harvest by the end of October. 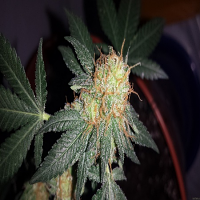 Growing is very vigorous and may not be easy for beginners as stress at the beginning effects and delays flowering.